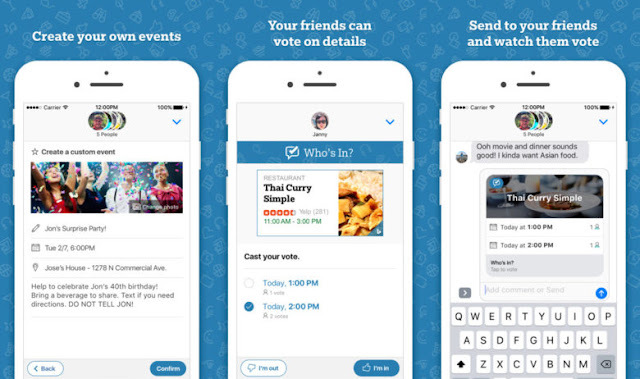 Download Who’s in App: The Microsoft has launched a new app dubbed as Who’s In that makes it easier for you to plan events with your friends. The app lets you find restaurants, find movie options, visit nearby attractions and more. The iMessage app — Who’s In is powered by Bing search that offers results for all the queries. You can search a restaurant by cuisine, location, or price. It will even help you scheduling an event and plan get-togethers with friends. The app uses the Bing search engine to find suggestions of things to do in your area. Users can create their own event, specifying a time and location which results in a custom card that can then be sent out to your friends in their iMessage group chat. Everyone in the chat can opt in or out, or suggest alternative plans.